Goddess Ambe or Goddess Durga are two names of the same divine form.The word "Durga" in Sanskrit means a fort, or a place which is difficult to overrun. Another meaning of "Durga" is "Durgatinashini,"which literally translates into "the one who eliminates sufferings. "Thus, goddess Durga protects her devotees from the evils of the world and at the same time removes their miseries. 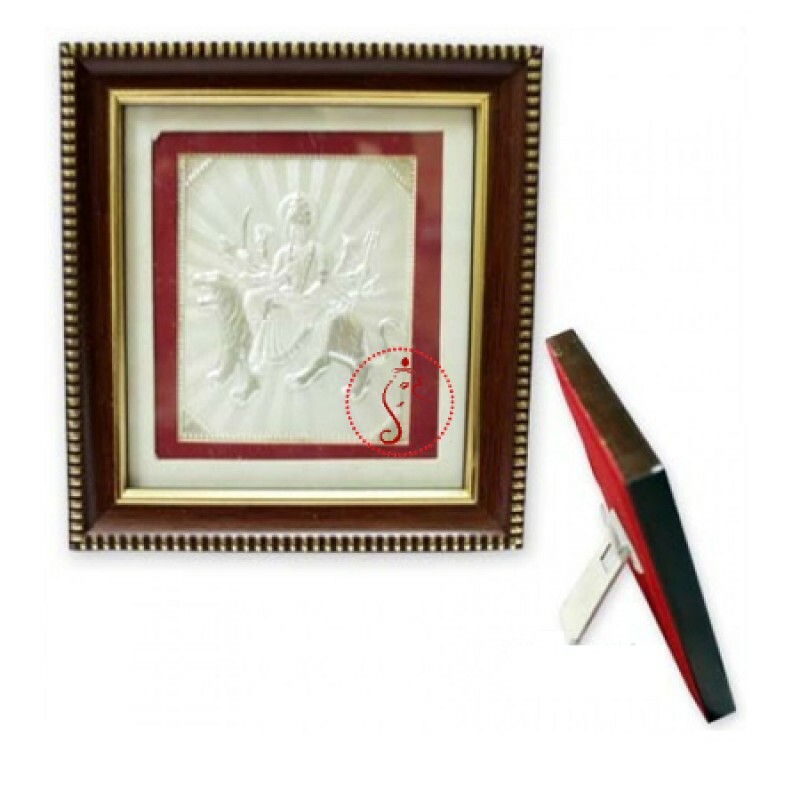 This beautiful frame made in pure silver with full depiction of Goddess form is best to install in home to invoke Her blessings. Design: Goddess Durga carved on pure silver foil and securely encased in a wooden frame.